The Nakamise souvenir shops at the Buddhist temple Senso-ji in Asakusa, Tokyo. These brick shops were built in 1885 (Meiji 18). They were destroyed during the Great Kanto Earthquake of 1923, but they were rebuilt in concrete in 1925. 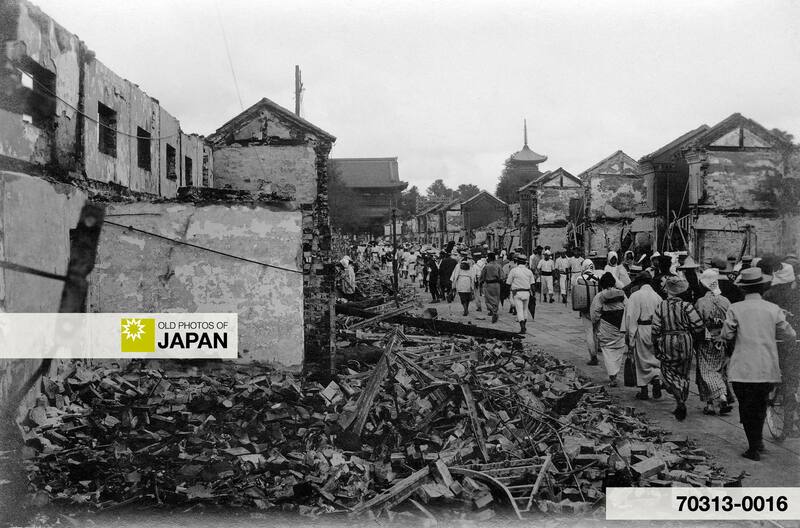 The Asakusa Nakamise after the Great Kanto Earthquake of 1923. 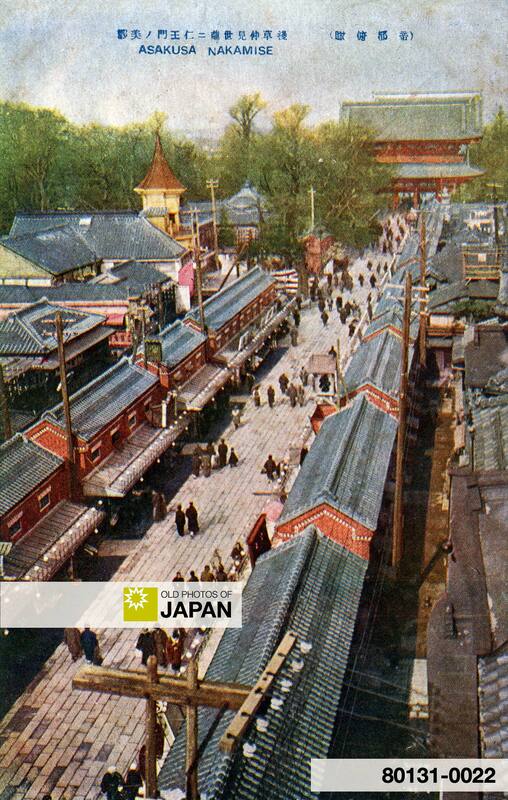 For detailed information about the Nakamise, read Tokyo 1934 • Asakusa Nakamise. You can also licence this image online: 80131-0022 @ MeijiShowa.com. I visited here in 2004. It still looks very similar. I understand the temple was destroyed in the war. Is that true? Yes, that is right. The temple burnt down and was rebuilt after the end of WWII. See the full story about the Nakamise here: Tokyo 1934 • Asakusa Nakamise. I think I may have an image of the temple as well. It will probably be uploaded some time next year. As someone who has had the pleasure of visiting Asakusa these pictures really are a great look back in time. I reached your site through friends on my Twitter, @amazinglyamara . I really look forward to more historical photos in the future!